A native of Holland who had settled in Scotland in 1669, Slezer became an ordnance engineer. In 1678 he was made a burgess of Dundee, and by 1688 had been appointed captain of artillery by the Scottish Parliament. 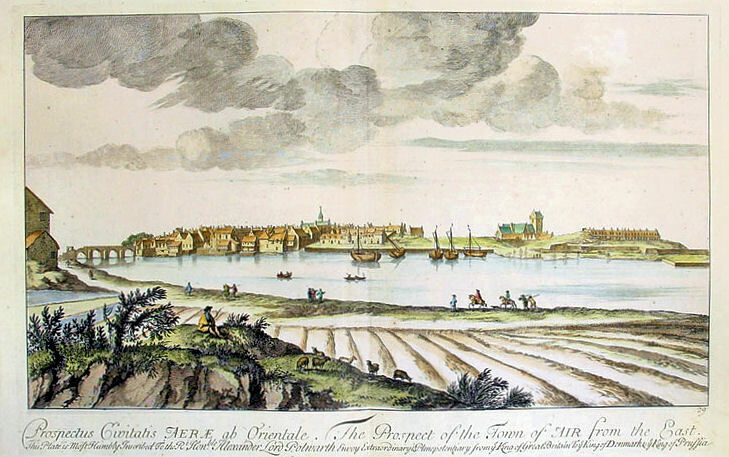 Slezer had a passion for historic buildings, and is best remembered for his "Theatrum Scotiae" (London, 1693), a monumental set of engravings of Scottish cities, with texts by Sir Robert Sibbald, which are still regarded as primary historical sources. He presented a copy of his work to the Library in 1695 on behalf of his sons John and Archibald, who had been students at the College. Image and text courtesy of Classical Images. This item available for purchase.